Air is a mixture of gases, approx. 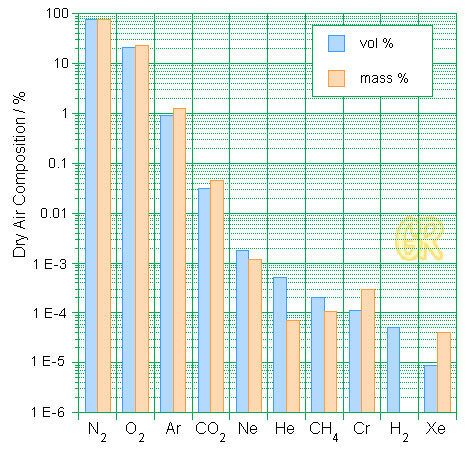 78% nitrogen and 21% oxygen, with small amount of water vapor (humidity), argon, and carbon dioxide, and traces of neon, methane, and various other components; it is usually modeled as a uniform (no variations or fluctuations) gas with properties that are averaged from all the individual components. The composition of air is unchanged until the height of approx. 10 km.